Note: This article is applicable to residents of the United Kingdom. 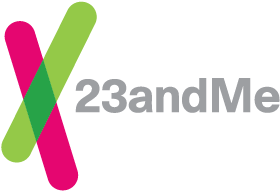 23andMe is a long-time supporter of efforts to prevent genetic discrimination and to safeguard individuals' genetic privacy. 23andMe will not provide any person’s data (genetic or non-genetic) to an insurance company. We understand that fear of discrimination by insurance companies is one of the main reasons people hesitate to pursue genetic testing. We want to ensure our UK customers understand the legal protections against genetic discrimination, as well as their limitations. What is the Concordat and Moratorium on Genetics and Insurance? The Concordat and Moratorium on Genetics and Insurance is a voluntary agreement (‘the Concordat’) between the UK Government and the ABI (Association of British Insurers) that prevents insurance companies from accessing or using genetic test results in making insurance coverage and rate decisions. Predictive genetic tests ordered directly by consumers from commercial providers, such as 23andMe, are covered by this agreement. Under the agreement, individuals will not be required to reveal the results of any predictive genetic test unless the test is first approved by the Genetics and Insurance Committee (GAIC). Currently, the GIAC has only approved the use of genetic tests for Huntington’s disease by life insurance companies. As such, insurance companies may require individuals to provide their Huntington’s disease test results if the individual is applying for life insurance policies worth in excess of £500,000. 23andMe does not provide a report on Huntington’s disease. The Concordat came into effect on 14 March 2005. The Moratorium came into effect on 1 November 2001. These policy safeguards will be in place until November 2019. Full text of the The Concordat and Moratorium on Genetics and Insurance can be found here. Consumer guide for people considering taking a genetic test and wondering how it could affect their insurance. What information you must disclose to insurance companies, what you do not need to disclose, and what your GP can give to the Insurance company with your permission.